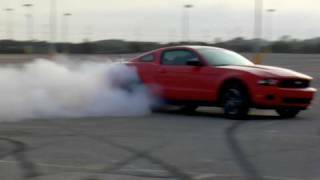 Ford has unveiled the 2011 Ford Mustang V6 that comes with a newly developed all-aluminum Duratec® 3.7-liter DOHC Ti-VCT engine that outputs 305 hp and 280 ft.-lb. of torque. 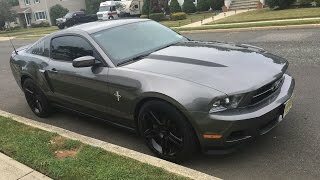 Ford says that the Ti-VCT allows the 2011 Mustang to return an estimated 19/30 mpg (city/highway) with a 6-speed automatic and 18/29 with a 6-speed manual. Production of the new 3.7L V6 engine for the 2011 Ford Mustang will take place at the company’s recently retooled Cleveland Engine Plant No. 1. 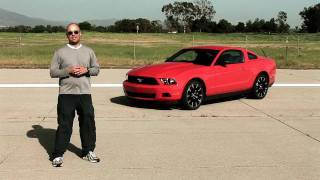 The 2011 Ford Mustang V6 also offers the choice of a Performance Package that includes a 3:31 performance rear axle and GT-based suspension and braking components. 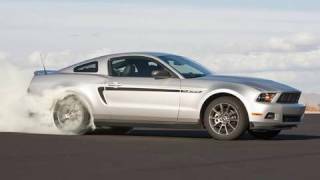 The electronic stability control of the 2011 Ford Mustang V6 now offers the Sport setting which the company says is fit for track use. 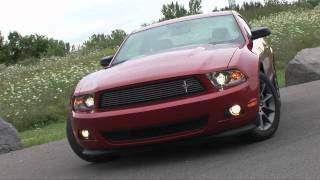 The 2011 Ford Mustang V6 price and availability will be announced at a later date. The high output is due largely to Ti-VCT which allows variable control of valve operation across the rev range. The variable cams operate on a Direct Acting Mechanical Bucket (DAMB) valvetrain using polished buckets to reduce friction. The end result is as much as a 3 percent improvement in fuel economy and a 10 percent improvement in power output versus traditional engines without these advanced features.